Are you looking for an easy way to improve ergonomics and performance in your workplace? Check out height adjustable workbenches with electric or manual adjustment to allow comfort for anyone and everyone. By now, you probably know that sitting at a desk all day can be harmful from poor posture or repetitive manual tasks. Nowadays, it’s common to see sit-stand desks in offices, libraries, warehouses, and other workplaces. And for good reason. Within seconds, users easily adjust their desk to their preferred height whether sitting or standing depending on their comfort. 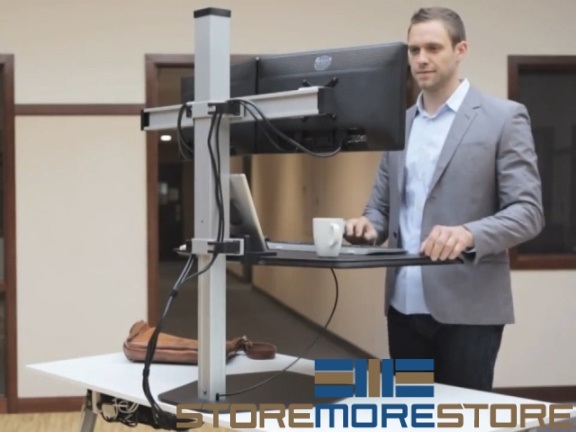 After all, standing for long periods of time isn’t good for you, either; generally, it’s best to alternate between sitting and standing positions throughout the day, and the height adjustable workbenches make this easy to do. 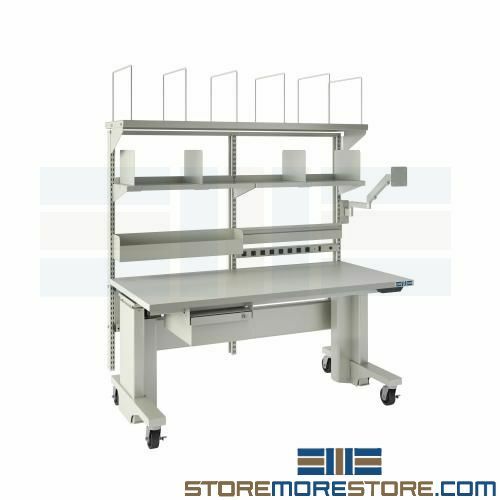 With its versatile and customizable range of motion, these workbenches are great for multiple-shift, multiple-operator applications such as manufacturing, fulfillment, shipping and receiving, packing, assembly, laboratories, and more. Indicated models also include casters, allowing you to transport the workstation wherever you need it! Now you just need to decide if a manual or electric workbench is right for you. See below for manual and electric workbench features. 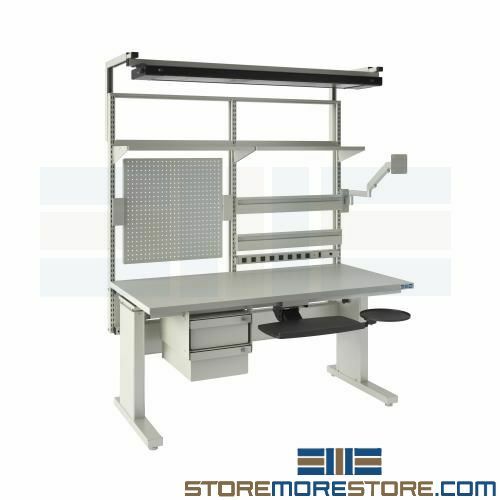 Height adjustable workbenches are available to buy online and ship in 10-12 business days with free dock-to-dock shipping included. If you need any assistance or just want some help picking the right solution for you, please call us at 1-855-786-7667. But what are you going to do? Your job requires that you be in front of a computer all day. Of course that doesn’t mean you have to do it sitting down. 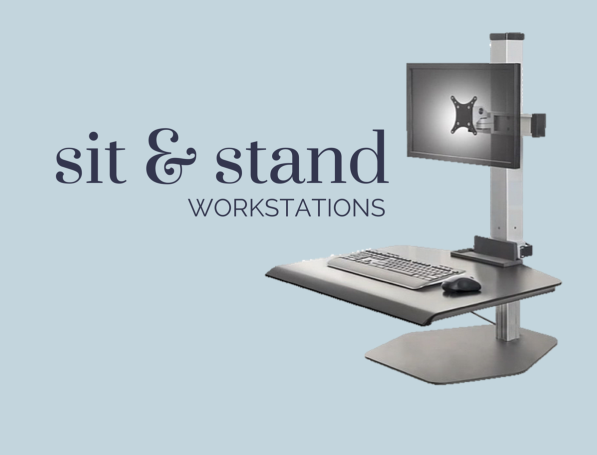 With sit & stand workstations, you take control of how you work. Stand while reading and writing emails, then sit when your feet need a break. The beauty of the workstations is you don’t need to get up and aimlessly walk around, losing your thought process just to get a break from sitting. Sit & stand workstations give you the power to choose whatever way works best to get your job done. The sit & stand workstations have a convenient storage tray that adjusts to bring your keyboard, mouse, notebook, and other items right to you at the proper ergonomic standing level. And the transition between sitting and standing is quick and easy because the workstations are designed for smooth and gentle up-and-down adjustment that locks securely into place. Cable clips just behind the monitors and a storage tray are incorporated to keep wires organized and out of the way. Also since the workstations are free-standing, they will integrate with any desk or work surface. 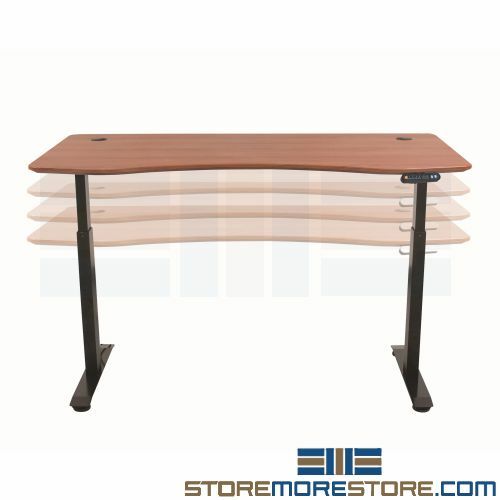 The sit & stand workstations are made USA and are constructed from 99% recyclable materials. Workstations are available in single, dual, and triple monitor configurations. Clamps and through-mounts are also available for a more stationary option. Sit & stand workstations offer the wellness benefits of standing at work, but without compromising space, stability, or workflow. 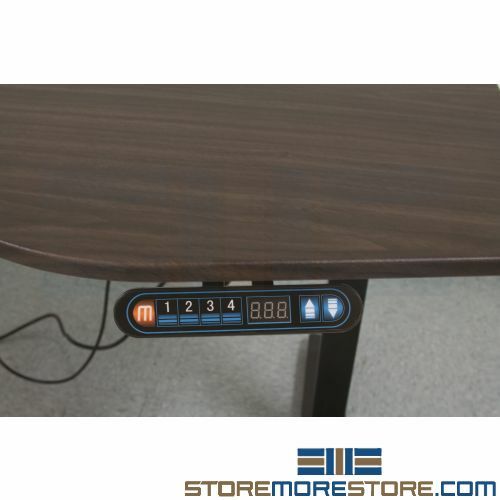 You can find all of our sit & stand workstations at StoreMoreStore. And if you have any questions or need any assistance, please give us a call at 1-855-786-7667.